Heart disease, which can lead to both heart attacks and strokes, as well as many other health problems, is the number one killer of women in the United States, causing 1 in 3 women’s deaths each year—that’s approximately one woman every minute! In fact, since 1984, more women than men have died each year from heart disease, and the gap between men and women’s survival rates continues to widen. Heart disease, also known as cardiovascular disease or atherosclerotic disease, is the result of atherosclerosis, a condition that develops when plaque builds up in the walls of the arteries, narrows the arteries, making it harder for blood to flow through. If a blood clot forms, it can stop the blood flow. This can cause a heart attack or stroke. Heart disease can also lead to other serious health conditions such as heart failure or congestive heart failure, arrythmia, or heart valve problems. Yes, there are many similarities in the symptoms of heart disease in men and women, but there are even more differences – differences that could save, or end your life if you don’t know them. Many things can put you at risk for heart disease – some you can control, and some you can’t. But the key point to know is that with the right information, education, and care, heart disease can be treated, prevented, and even ended. Research shows that healthy choices can result in 330 fewer women dying from heart disease per day…that’s a lot of lives saved! This February, Saratoga CoWorks will “Glow Red” for the American Heart Association’s “Go Red for Women” initiative, which advocates for more research and swifter action for women’s heart health. By illuminating our building with a red light, we hope to bring increased awareness to this life-saving cause! And don’t forget: National Wear Red Day® is Friday, February 1! 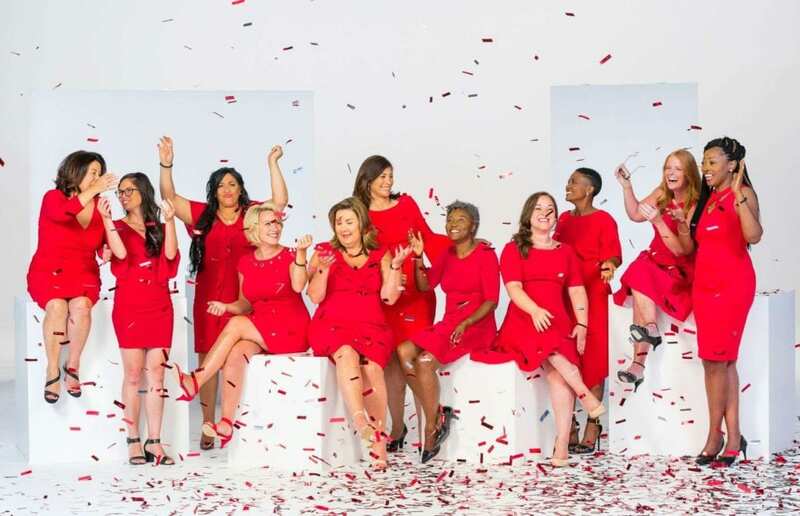 To learn more or make a donation to the Go Red for Women campaign, visit the American Heart Association’s Go Red for Women website.